OK, Most people here know my lake goals. I built a 9.5 acre lake back in 2003 it filled up to about 5 to 6 acres and stopped. Now, when I stocked it back in 2003 I stock it as if it were 10 acres, thinking the lake would fill that winter...I was worng...From a private Hatchery I stocked 250 Blue Cats, 5000 Coppernose, and 1000 redbreast. From the state I stocked another 5000 Native bluegill, 1000 RES and 350 CC. Then a year later I bought 1000 tiger bass from Greg Grimes. Now all this time the lake is STILL not full... 3 years later (2006)I had another stream on the other side of the property that I built a 2 acre lake on and pipe the overflow from this littel lake to the big pond and as you know we had a drought for 3 years after that. Needless to say the drough was over this spring and The 9.5 acre lake is SLAP full of water. So now over a period of 3 month in the spring the lake went from 5 acres to aprox. 10 acres. From taking time and getting back on this forum I can say I deeply regret not getting threadfin shad.....I though I could forage this whole lake with just Bluegill. I was afraid that the Threadfins would take away from the Bream, thats why I did not get them. Is it too lat to try to establish threadfins? well any sugestion please feel free, right now I just have to find where to start...just not sure right now..
What a great example of why to never give up on something you love. These guys will tell you how to proceed. I'm glad your lake filled up, how deep is it? HUSBAND AND CAT MISSING -$100 REWARD FOR THE CAT! I subscribe too, but tried and failed at the fish logo. If you stock the TFS just before they spawn, they should take hold in the bigger lake. 10 acres is large, so you'll probably need a couple truck loads at a minimum. I know Greg Grimes has them and can give you better advice. I would think a load a TFS in your smaller pond would help as well. With a pond and a lake, you really have a lot of options... Have you thought about turning the pond into a trophy sunfish pond and managing the lake as a trophy bass lake? If so, don't stock the smaller pond with TFS... Lots of options when you have two great BOW's like that. Congrats on you reaching your goal! From 5 to 10 acres ? WOW!. There must be lots of cover now and I'd bet the population explosion will be impressive. Greg Grimes could sure tell you if TFS will work for you. Congrats on reaching full pool! What CJ said. TS will definitely hurt bluegill size; but with two lakes, you can manage one (the bigger one) for trophy bass and the other one for trophy bluegill. For the bass lake, stocking TS and also GSH (golden shiners) will help the bass. For the smaller lake, stock it with a high density of bass, 100-150 per acre, and don't keep any bass, and install an automatic feeder or two and feed at least twice a day during the warm months. Do you have CNBG in the smaller lake? They're better for where you live because they grow larger - no advantage to northern-strain bluegill in your region. If you decide to make the smaller lake a trophy bluegill water, you might think about stocking two to four tiger muskie to thin out the bluegill so the remaining ones grow faster. Or, you could just seine or electrofish out a bunch of them and transport them to the other lake for forage. There is differing research as to whether they will or won't affect BG and if they do, just how much... IMO, if you are going for a trophy BG pond, leave them out however I don't think there is that much competition. As far as how much a truck load of TFS costs, you'd have to ask Greg. Send him a PM if he doesn't see this thread and run it by him. He can give you far better advice on that subject than I ever could whether is be price or the numbers needed. Welcome back Big Pond. Hope you have been well. Here is the archive to TShad. The first 2 links cover what you need to know on point. For your size lake one truck load (usually 2 loads per truck) of adult TShad just before they spawn will work. With it not being at carrying capacity because it went from 5 to 10 acres you might be able to get by on one load. A load is about 6 - 9,000 fish mostly done by weight. A plankton bloom is critical for the stocking to work as is putting them in just before they spawn (around March or September ). I think March works better. Big pond, here's a little more of my thoughts: TS are just about essential for maximizing a BOW's potential for big bass - they make a huge difference in the average size of the bass, as well as the maximum size of the biggest bass. 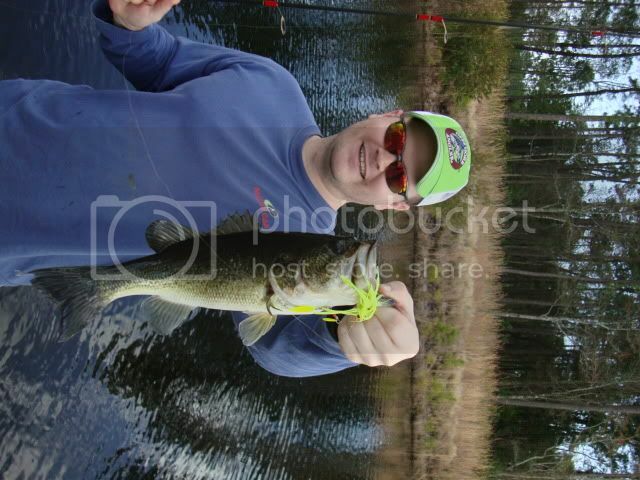 If huge bass are your main interest, don't hesitate to stock them as they'll make a big difference. But if catching big bluegill is also important to you, don't stock shad or a couple years from now you'll be back on here trying to find a way to salvage your bluegill population from stunted growth. I personally feel that the studies that try to claim that TS or gizzard shad either one do not affect bluegill size, are at the very best poorly substantiated and researched with shoddy methods and conclusions, and at worst just skewed science. Trophy bluegill are my main species of interest. I still fish regularly for bass, but I fish a great deal for bluegill, and I've fished a lot of BOW in several states, both public and private, in the quest for trophy 'gills. And I've never once seen a pond or lake into which TS or GS or golden shiners were introduced, either intentionally or otherwise, in which the average size structure of the bluegill was not cut at least in half. Not once. I'm managing a 60-acre lake right now that, according to the owner, once had "huge" bluegills; the first time I spoke with the owner, he commented that he didn't know what had happened to the bluegill because they were a fraction of the size they had once been. Turns out that five years ago another pond manager stocked TS and GS in the lake. The bass are far bigger now than what they were pre-shad; the bluegill average about 4". One study that claims, without solid science, that shad have no adverse affect on bluegill, notes that the size structure of plankton is invariably altered in lakes that are stocked with shad: the plankton increase in number but become smaller. Any biologist on here will readily tell you that to maximize your bass growth you have to have large prey for them to eat - so why has no one made the obvious connection that if a bluegill population's food source suddenly goes down significantly in average size it can be expected that the bluegill will suffer a corresponding decrease in growth? Also, bluegill very much use open water, especially the larger ones; anyone who tells you they don't is not a bluegill fisherman. I've caught hundreds if not thousands of large bluegill in the center of ponds from four acres to over eighty, in open water with no cover anywhere near. Even if shad didn't directly compete with bluegill for plankton and also lessen the quality of that particular food source, just the effect that they have on bass predation on bluegill is enough to cut the bluegill's average size drastically. Shad are fusiform prey, which means they're more ideally shaped and therefore easier for bass to eat at larger sizes than bluegill; they also have weaker dorsal fins that are far less threatening to a bass than a bluegill's; when shad are introduced, bluegill go from being the primary prey, to being an afterthought when the bass can't catch a shad. The bluegill overpopulate, at which point their growth stops altogether due to too many numbers for their food source. Hopefully this doesn't come too close to a rant, but it rankles me that there is literature out there that claims shad don't impact bluegill growth. I think your solution is still CJ's suggestion: make the larger pond your trophy bass pond, and the smaller one your trophy bluegill pond. A ten-acre lake can support several real trophy bass in your region, and several more in the three- to six-pound range; you can load it up with bluegill, TS, GSH, GS after a couple years, crayfish, and tilapia and fertilize it monthly so all the bass have to do is open their mouths and inhale; and you can plant a couple automatic feeders on the smaller pond, put three or four tiger muskie in there to put the fear of God in those bluegill and adjust their density, and set the feeders to three times a day, and within three or four years you'll have bass approaching ten pounds (assuming you stock tiger or Floridas) in the big pond and bluegill approaching two pounds in the smaller pond. You'll have the best of both worlds, and will never have to learn firsthand how TS are bluegill kryptonite. Walt you are entitled to your opinion. You are however by making the statement "I personally feel that the studies that try to claim that TS or gizzard shad either one do not affect bluegill size, are at the very best poorly substantiated and researched with shoddy methods and conclusions, and at worst just skewed science." , questioning the ability and ethics of a number of professionally trained Fisheries Scientists and because the studies were peer reviewed the credibility of the AFS publication review process. IMO that is an unfounded and baseless accusation. I respect your opinion, Eric. But my assertion is neither unfounded nor baseless; in an earlier post I outlined my objections in more detail; I didn't do so here initially out of a desire to not specify the study I'm referring to. I want to make friends in this business; but I won't bite my tongue if I feel pond owners and anglers are being misled. I did go into depth above on one of my objections, and I think it would be very difficult to counter my argument above: the size structure of a significant food source of a fish has been proven to affect the growth of the fish, and yet inexplicably the study notes that plankton size was reduced, but then claims it shouldn't have an effect. The author who cites this study as evidence that gizzard shad don't affect bluegill size also claims bluegill don't eat plankton, and claims to have proven this in research he did for his master's; but his statement directly contradicts what has been accepted as scientific fact by fisheries biologists and anglers across the country for many years; and, not one bit of substantive proof was given in the study corroborating this claim - it was simply stated by the author that he had observed that bluegill eat mainly invertebrates in well-fertilized ponds, without in any way stating how he observed the bluegill feeding. As I noted in my post a couple months ago on this subject, there is no mention of how he came to this conclusion - did he scuba-dive in the pond and videotape bluegill of all sizes feeding for days or weeks, and in that process observe that they only ate invertebrates? Invertebrates on average are pretty small, so he would have to be pretty close to the bluegill while they were eating to determine this conclusively; further, he would have to record a large number of bluegill of all sizes over an extended period of time. A well-fertilized pond has a visibility of 18" or less, so it would be quite difficult even to get close enough to a wild feeding bluegill to see him, much less get him lighted well enough to videotape; and it would be an extraordinary feat indeed to capture one of the invertebrates on video in such conditions; it would be completely impossible to do so with plankton, meaning if a bluegill ate a plankton, he certainly wouldn't be able to see it, much less document it. As I suggested before, did he examine the contents of several bluegill stomachs and upon not finding any microscopic plankton conclude the bluegill had not eaten any? I think it would be very difficult to prove that bluegill don't eat plankton; it would be one thing if it had not already been accepted as scientific fact that bluegill DO eat plankton, when he made his claim; but he simply made the claim with no substantiation whatsoever. When you make a claim that one hundred percent contradicts accepted science on the topic and then don't give empirical evidence backing your claim, and give no mention beyond that of your methods by which you arrived at your claim, that's bad science. Getting back to the study that the author cites as proving gizzard shad have "no effect" on bluegill size, and don't compete with bluegill: the study consisted of one lake. I think it's pretty safe to say that any objective scientist from the field of fisheries science or any other science would look at a conclusion based on an experiment with only one subject, and quickly conclude that the study was not a thorough study, and therefore not valid. And then there's the study itself: the researchers chose a lake that already had gizzard shad. They applied rotenone to kill the shad, then observed the bluegill and bass populations. A few years later the gizzard shad had recovered to their pre-rotenone levels, and based on the data they observed while the shad were rebounding the researchers concluded that gizzard shad do not affect bluegill populations. That's about as sloppy as science can get. 1) Partial elimination is not remotely the same as complete elimination of shad. The fact that the shad were able to rebound to prominence within a few years of poisoning shows that obviously several shad remained in the lake, and had good success relatively quickly in spawning. I'm going to go out on a limb here and assume that the largemouth present in the lake did not suddenly agree to stop eating any gizzard shad they could fit into their mouths during the time of the study, which means the shad were quickly able to spawn successfully despite pressure on them and their offspring from the bass (and catfish, and crappie, all of which are present in the lake) in the lake, which means there's a very good likelihood that there was not a significant period of time when the lake was largely free of the influence of shad on its population dynamics. Unless the shad tried several times unsuccessfully in the first two or three years to spawn, and then suddenly had a successful spawn, which is extremely unlikely, the shad that remained in the lake were spawning successfully and adding to the lake the bass's preferred forage in fusiform prey, always preferred over cuneiform prey such as bluegill, within a few months (maximum) of when the study began. This alone makes it at best not good science, and at worst irresponsible research. Who would give credence to a study entitled, "The Effects of Gizzard Shad Just Getting on Their Way Back to Prominence in a Lake?" Yet that's exactly what this was. And no one has questioned it. Look at how quickly carp rebounded in the lake of a PB regular on the forum who just rotenoned a couple months ago with the intent to kill every fish in the lake, especially the carp. They had to do a second kill within a very short time period of the first. The lake recognizes trophy bass caught by anglers - with a ten-pound minimum. Based on that and these pictures, and the authors of the study's remarks about expecting bass recruitment to increase when shad were reduced, I feel pretty safe in concluding that this lake is decidedly low-density with its bass population. Which means less predation on the bluegill, and seeing as how the lake is only 163 acres, it's highly possible that the bluegill are overpopulated. The fishing information listed for the lake states that the bass fishing is good year-round; nothing positive is said about the bluegill fishing, which would lead one to conclude that the bluegill are probably small, and probably were small before the study began, meaning they were probably overpopulated. Bluegill when overpopulated drastically reduce bass recruitment; so it is very sloppy science indeed to expect that suddenly removing a portion of one species that reduces bass recruitment will result in better bass recruitment if another species that just as severely reduces bass recruitment when overpopulated, is at an overpopulated state. If the bluegill were already overpopulated when the shad were reduced, the bluegill would not suddenly increase in numbers because they were already at a level at which their food source did not meet their numbers. They would not suddenly increase in size because they were overpopulated and removing the shad would do nothing to alleviate the low numbers of bass that had led to the bluegill overpopulation in the first place, or the overpopulation and resultant food shortage. 3) Walker Lake has crappie. 163 acres is small enough that crappie are eminently capable of overpopulating it. No mention whatsoever is made in the study of the possible effects of crappie in the lake on bluegill size. If large numbers of crappie were present in the lake at the time of the study, removing gizzard shad would have no effect on the direct competition for food that the crappie present to the bluegill in the lake. It could reasonably be assumed that removal of the shad would make said competition worse, as certainly the crappie would have been feeding on gizzard shad fry and fingerlings, and when that food source was reduced they could logically be expected to eat more invertebrates etc. 4)The article in question notes that many people in the past have said that gizzard shad will take over a lake, and then states categorically that this is not true - with not a shred of substantiation, no proof of any kind, not one study, no data whatsoever. I personally have more than once read accounts of state agencies stocking tiger muskie or taking other remedial measures to reclaim a public lake because gizzard shad had taken over the lake to the point that they occupied 70% of the total biomass of the lake. So for the author of the article championing gizzard shad to claim that this doesn't happen, is not just bad science, it borders on dishonesty and misrepresentation to the reading public. Even if none of the major, fundamental flaws I've listed above existed with the study, simply the fact it was performed on just one lake, renders the study bad science; I think any objective scientist from this field or any other would be amazed that someone claiming to be a scientist would even try to present it as a study. When taken in sum with the fact that the shad were never eliminated from the lake and were rebounding in the lake from the moment of inception of the study, I think it's pretty bad science, and that it's irresponsible to advise pond owners based on it. The author of the study is probably not a bluegill fisherman; he likes catching big bass, and he wants to grow big bass in his clients' lakes; that's completely understandable, and his company does an exceptional job of doing that. But I'm working right now with a lake that company used to manage, that according to the owner had huge bluegill in years past; five years ago threadfin and gizzard shad were stocked in the lake. The bluegill are overpopulated now and average 4", whereas they once averaged 9" or better. I've seen firsthand that it's simply not true that shad don't impact bluegill very severely in a negative way, not just in this lake but many others. I have the utmost respect and admiration for the author's company, for many reasons; I'd love to work for them but I don't have a degree in fisheries science. But just because I admire 99% of what they do, does not mean I'll bite my tongue if I feel pond owners are being misadvised and told something that's just not true. Walt I quoted your comment and it says "studies". Earlier several AFS studies on TShad on this point were discussed - http://www.pondboss.com/forums/ubbthreads.php?ubb=showflatΝmber=177599&fpart=1. TShad and GShad are entirely different in many ways including their effect on population dynamics. This thread was about Big Pond's question on TShad not GShad . Your comments on GShad only confuse the matter. Post the study and lets see what is says. we can make this process pretty fun and extremely simple! 1. What is the current condition and size of the original tiger bass stocked? 2. How would you rate the overall fishery before the big flood? 3. How in the world do you have 902 posts and I dont have a clue who you are??? Welcome back, lets come up with a few ideas to put a bend in your rod and some meat on the table like this lunker we pulled out of 49 degree water today! I would like to see the study. Nate, Big Pond ought to change is handle to Big Cat. I was shocked to learn that he had even considered stocking any kind of bass, especially Tiger Bass. In the past, his entire focus was on buying or building big ponds and growing big blue cats. The tiger Bass are about 4 years Old?? About?? The biggest is about 4 to 4.5 lbs. Not sure what you mean "before the big flood"
I was on here all Long Long ago....I have fooled with so MANY lakes....About 6 total, by Buying and selling land. My brother REALLY has a couple of lakes a 17 acre and a 50 acre lake...I just have not been here. I re-read all four of the AFS studies you posted; three out of four found a negative effect on bluegill populations from the introduction of threadfin shad. One states that a "precipitous" decline in zooplankton occurred, and that the bluegill population suffered a corresponding decline in survival to the size at which they move into the littoral zone; another states that shad and bluegill did compete for food, and further that their foraging zones overlapped; the third finds that bluegill were negatively affected in more BOWs than ones in which they were positively affected. So I agree with those studies (and yes, that's meant to be funny though it's also true.) The fourth one, which comes first in your post, I had confused as being part of the gizzard shad study I was railing against; it's the study that clearly states that threadfin shad changed the size structure of phytoplankton in the lakes studied, reducing the number of larger phytoplankton and increasing the number of smaller phytoplankton, and then claims that the bluegill were not affected. I am not sure why people can't do both really. 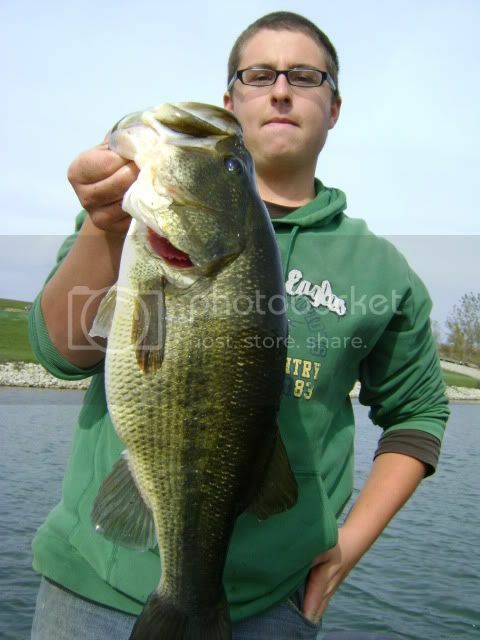 Good grief, what a toad LMB, Nate! Did that fish come out of an Illinois pond? Did you weigh it? I will make a new thread for that bass later for sure. If growing big cats and bass is your query...err cup of tea... than I think you just might be right about the threadfins. Also I would get some gizzards rolling too at the same time! 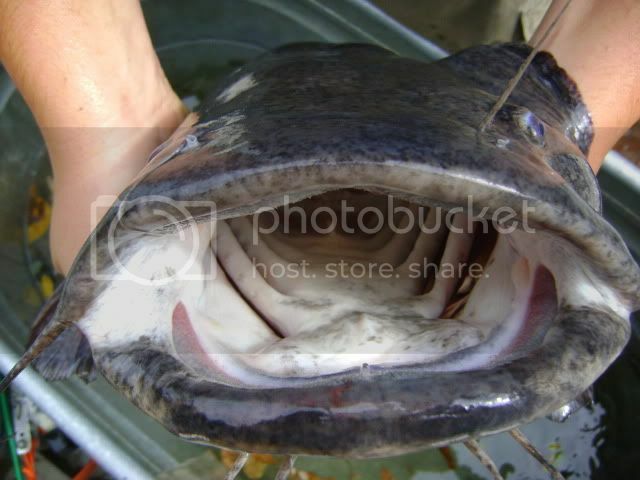 Catfish love the slimy stinking gizzards!!! youve been around the block a time or two apparently- get er done and post some pics! I think a few neighborhood chihuahuas went down that gullet as well.